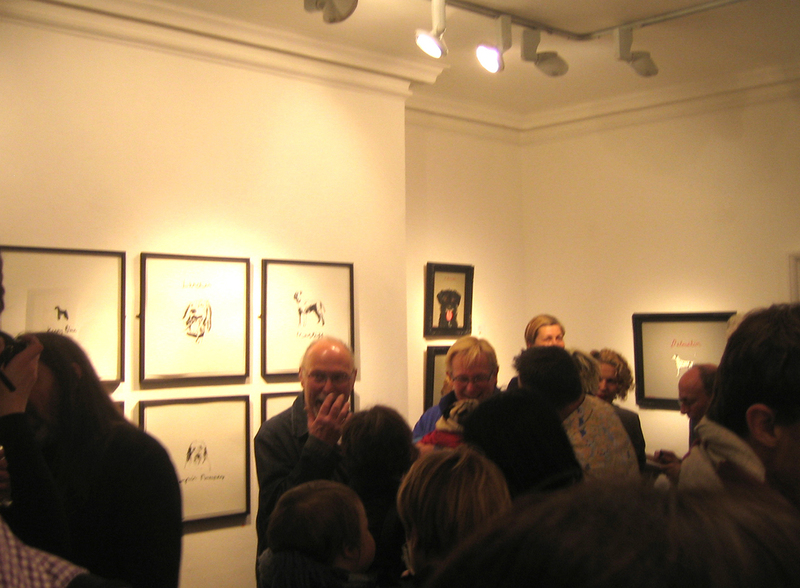 Thursday night was the Private View for Rob Clarke’s A-Z of Dogs at The Rebecca Hossack Gallery there was a beautiful Airedale leaving just as we arrived. Edwyn was invited – as were all dogs – but not being a fan of loud noise I didn’t try him on the central line at rush hour, I’m not that cruel! 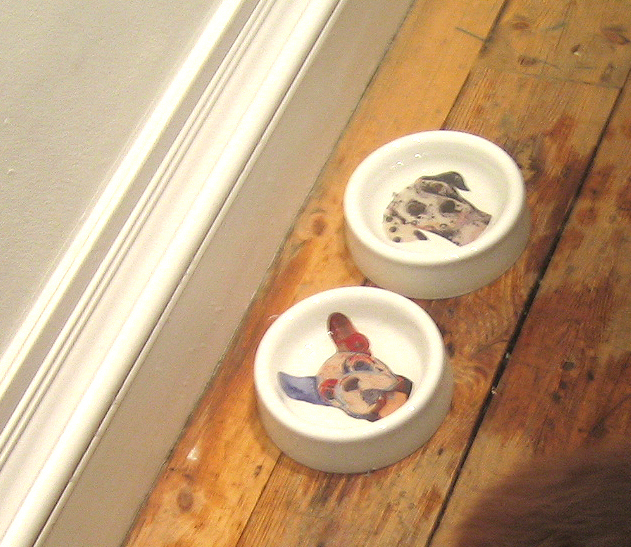 A shame, as he does love a party, and one that provides such stylish dog bowls, he would have approved. It was such a treat to be surrounded by walls containing my favourite subject matter, and the subject matter themselves. 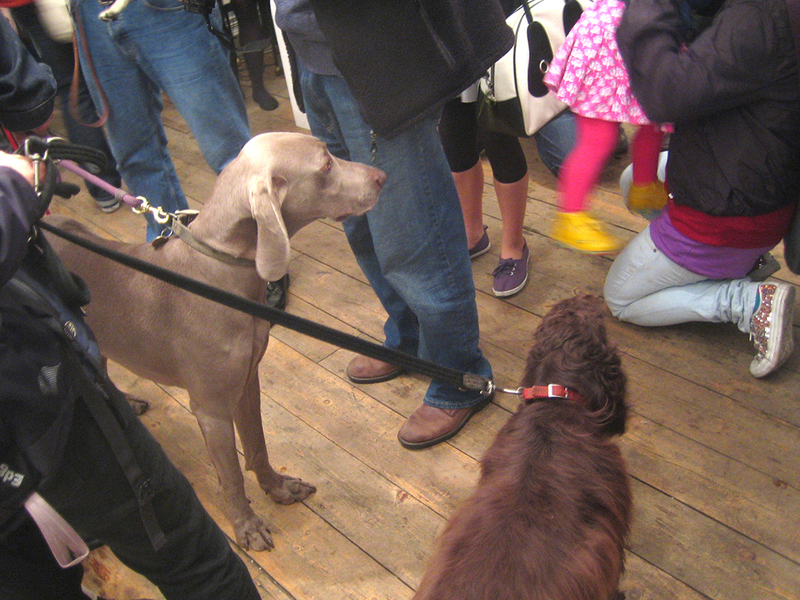 The most lovely (and well behaved) dogs you could hope for. 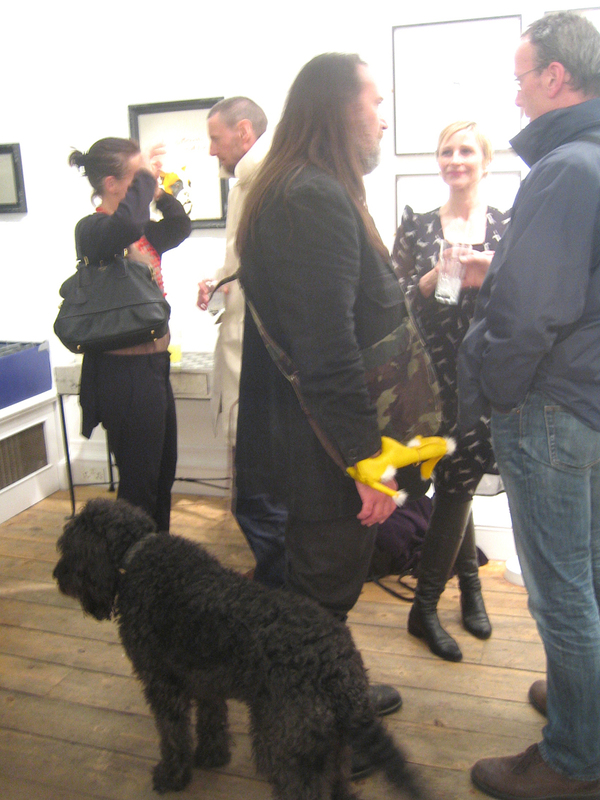 There was the adorable labradoole, who was far more chilled than the guests, even after a few of the dog-themed cocktails, and the most adorable beddlington…… I’d had a few of the said cocktails myself and can’t remember their names…. 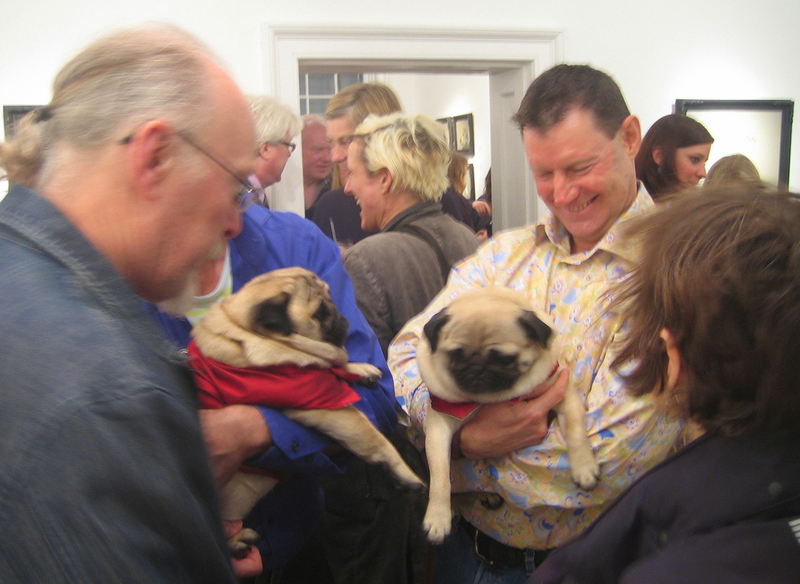 There were pugs, chihuahua’s, a spaniel, weinerama and more…. A dog spotters paradise! 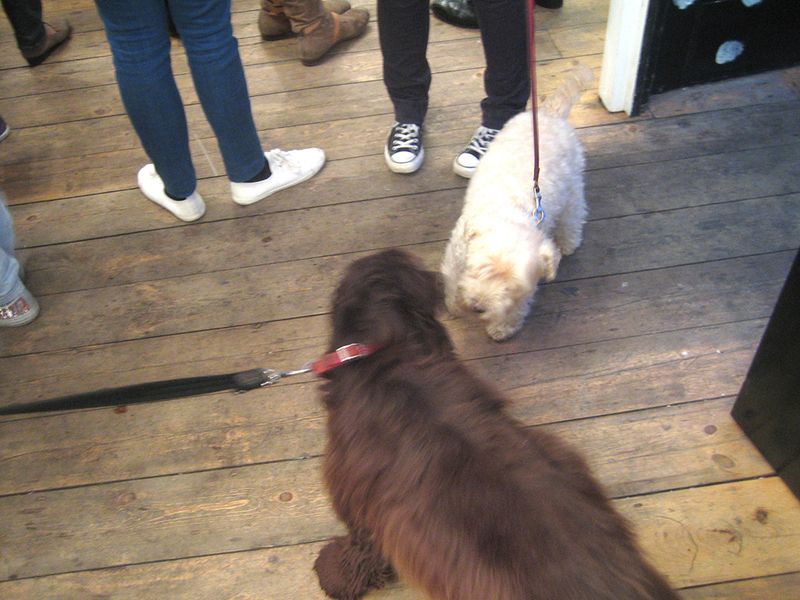 Dogs are such great ice breakers and I swear everyone is much more smiley and chatty when they are around…. 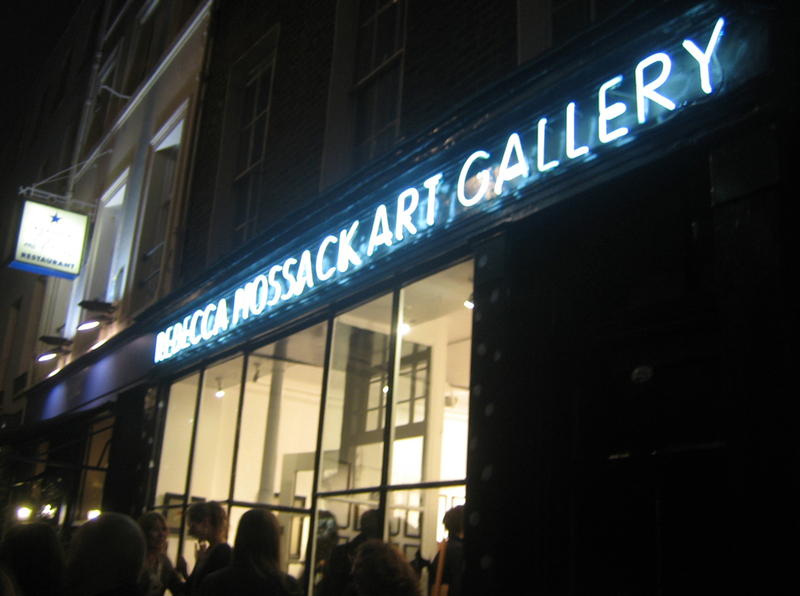 The show is on to the 21st April on Charlotte Street, very near Goodge Street Tube, highly recommended…..